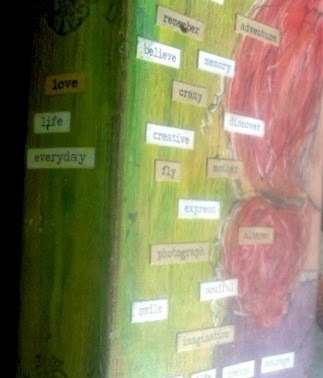 Eclectic Paperie: Love Life everyday using a second hand old book . . .
Love Life everyday using a second hand old book . . .
Hello sweet friends, Tracy here today and can I just tell you all how excited I am to be sharing my love for second hand books with you all . . . I loooove them! Tatty, battered, rustly, pages missing, corners turned down, signatures inside . 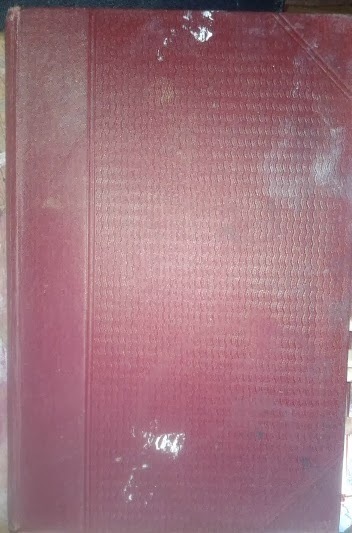 . .
that`s what I call a book that`s lived and has character, my favourite,lol. 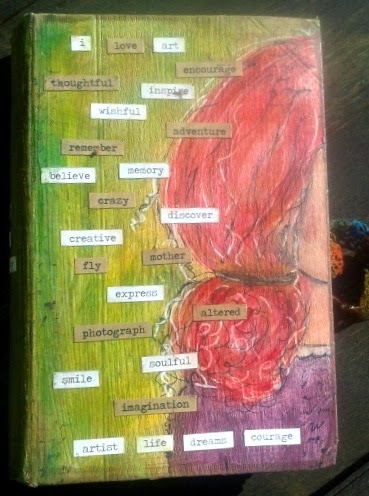 ePlay Challenge - Alter a book. 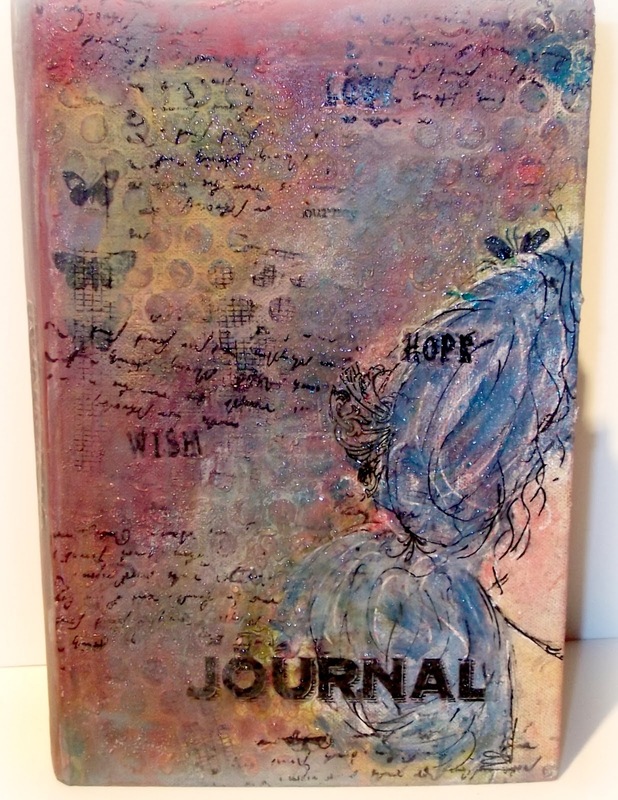 This is going to be my new art journal book, I usually forget about the covers . . . but not this time! I want something to inspire me to pick it up and play. Apologies in advance to you all, I seem to be doodling She Art girls at the mo, always with half a face, hahaha! 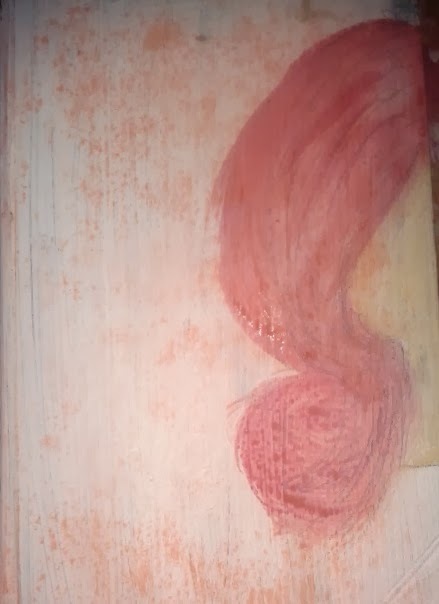 Anyhoo I applied Gesso first, the pigment in the old cover bled slightly but that`s okay I can go with the flow. A quick doodle when it was dry and then out came some Dylusions Ink Sprays, a little scoosh onto my craft mat and then applied with a brush to give my girlie some hair, lovely loose strokes. I just kept adding colour, drying with a heat tool, adding more and drying until I was happy. I also used a touch of Dylusions Ink Spray in Pure Sunshine as well . . .
just typing that name makes me happeeeee . . . mad I know. A few doodles doodle doo`s because I do love to doodle doo. The background was created by first applying the green Pan Pastel from Mixed media Kit 1 and then fixing the color with cheap hairspray. Now more scooshey fun with Dylusions Ink Sprays in a few green shades and then applying them with a brush. A touch of Distress Stain in Vintage Photo around the sides to add a touch of age and shadow. A few Idea Ology Chit Chat Stickers and then a light coat of Faber Castell Gel Medium all over to protect it and I was done. Now I have had time to have a wee play inside . . . wanna see? I used a mixture of Pan Pastels and Dylusions Ink Sprays to color me doodle doo. 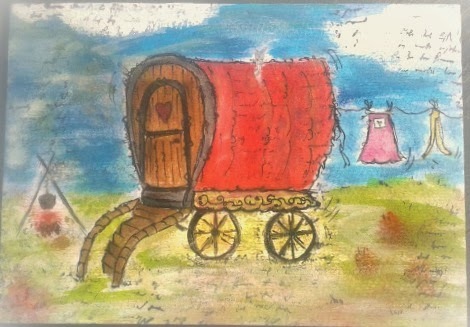 Guess who is going on holiday in a Gypsy Caraven in July? Whoooo . . . Yes Me, Alex and the mad pooch Rosie! I am getting sooooo excited, can you tell, hahahaha. 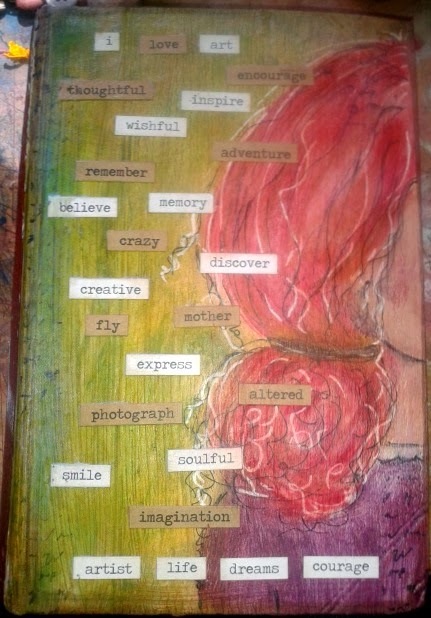 Here`s my other altered journal. if you want to see more. I hope I have inspired you to go grab a book and get altering! LOVE your half faces and this is another FAB cover, Tracy! FAB colors and doodles! And a gypsy caravan sounds like FUN! FAB post! Gorgeous. Love how you only did half of the girl!!!! And love how you used PP on the inside. Wish I could "doodle" like that. Gorgeous. Gorgeous reworking of that old book into a work of art - delicious!